Daisy was the first calf ever born on Sweet Liberty Farm! She welcomed her first calf from an AI breeding in the summer of 2014. Her Dairy Girl training has gone wonderfully and she can be both hand and machine milked. 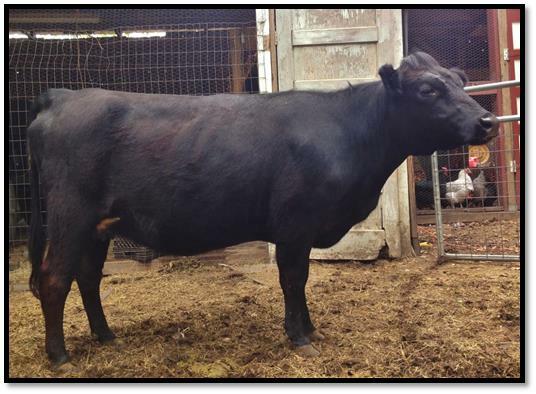 She has been running the pasture with our yearling bull, Bruce, and should calve in the spring of 2015!